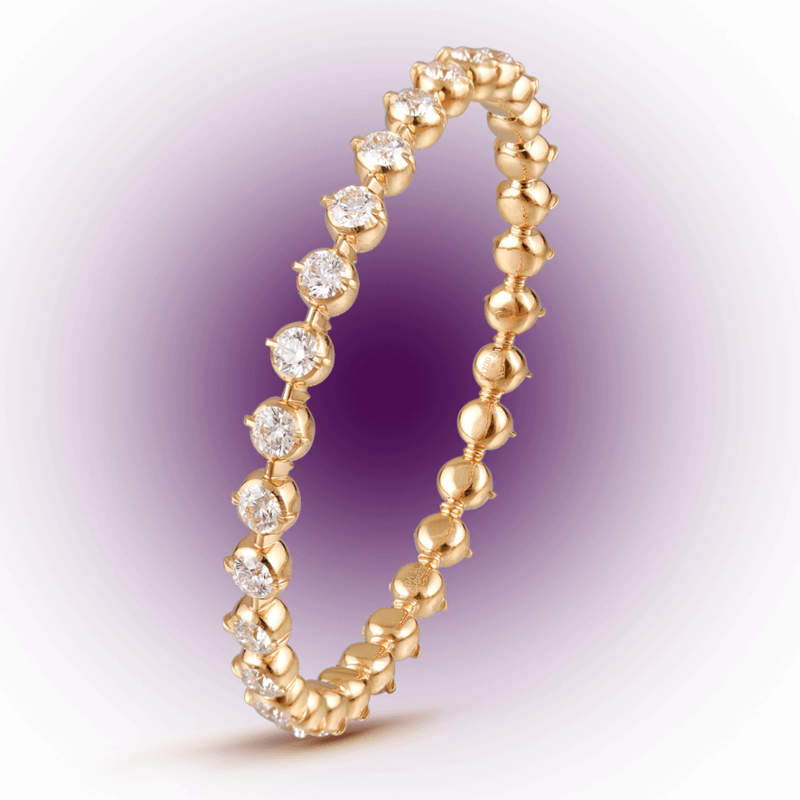 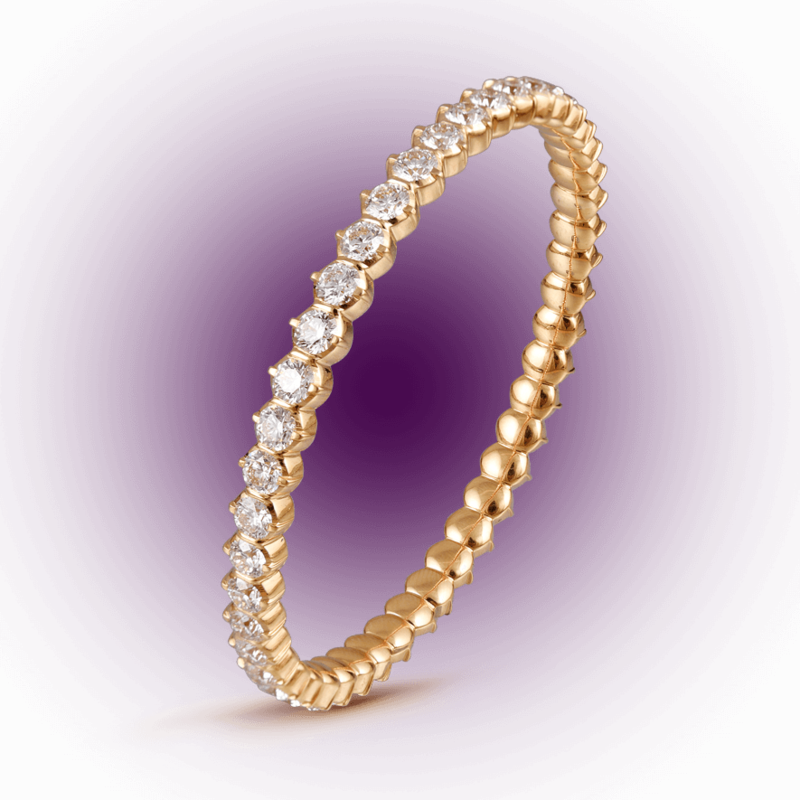 Incomparable classic solitaire beauty Crafted in 22k yellow gold closed setting Studded with brilliant round cut solitaire diamonds Timeless in design, sturdy in daily use . 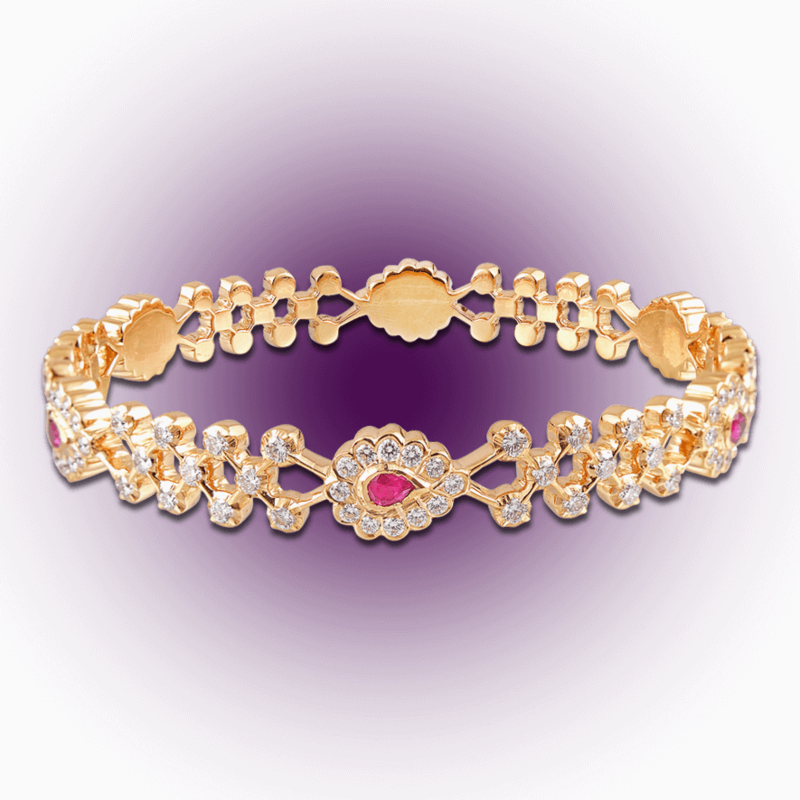 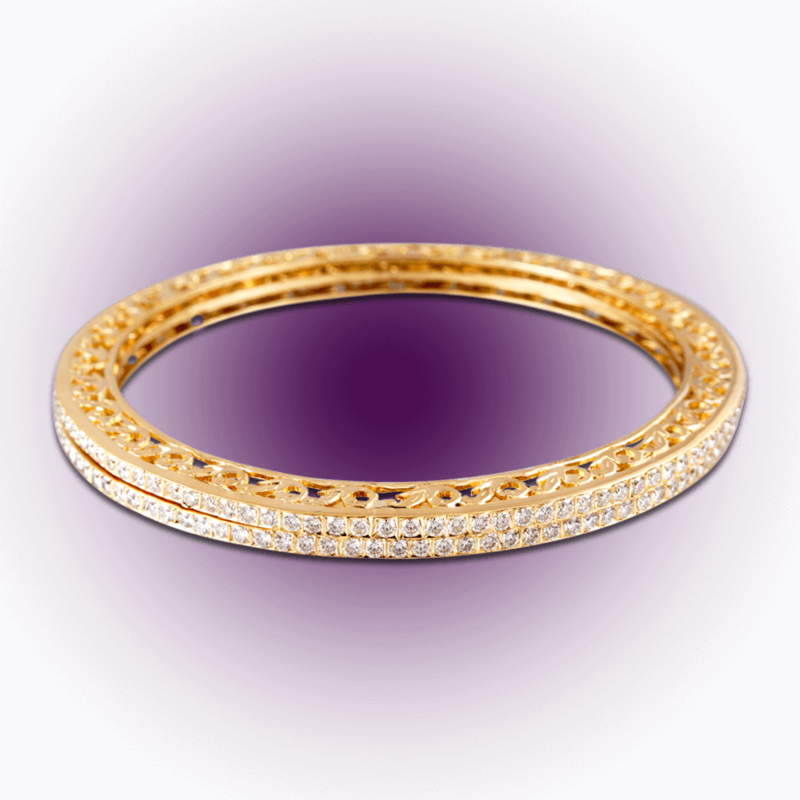 . .
22k yellow gold closed setting bangle Ornate criss-cross design Studded with brilliant round cut diamonds an Pear shaped ruby motif repeats throughout . 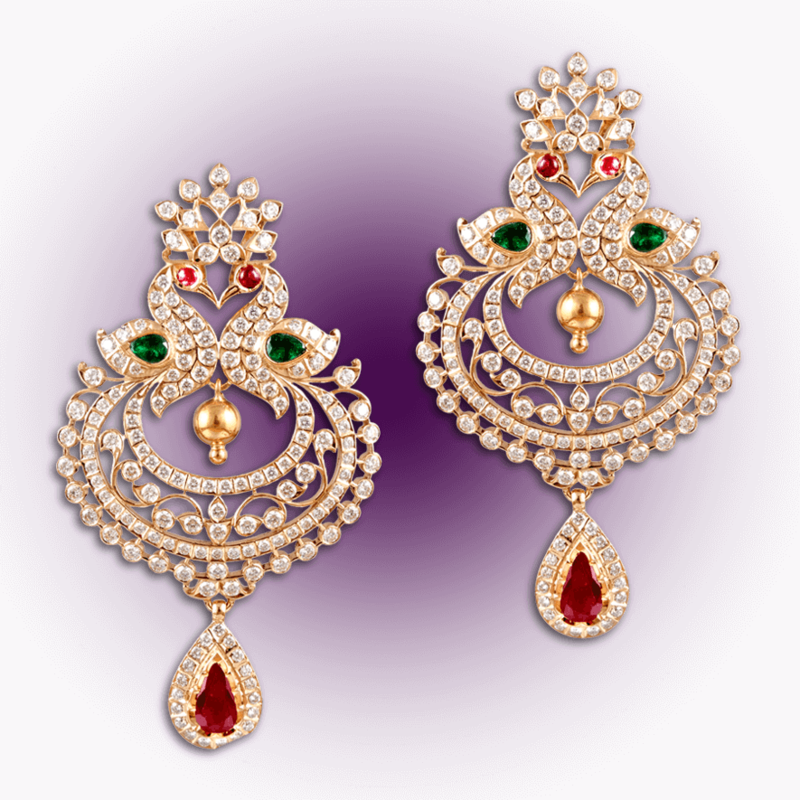 . .
22k yellow gold closed setting pendant Exquisite mirrored twin peacocks Studded with brilliant round cut diamonds, rubies and deep green emeralds Captivating pear shaped ruby droplet hangs be. 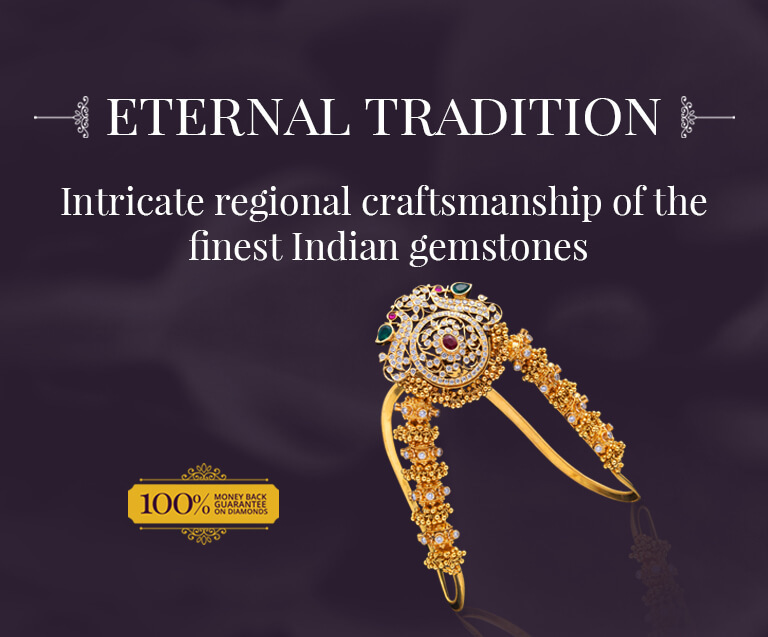 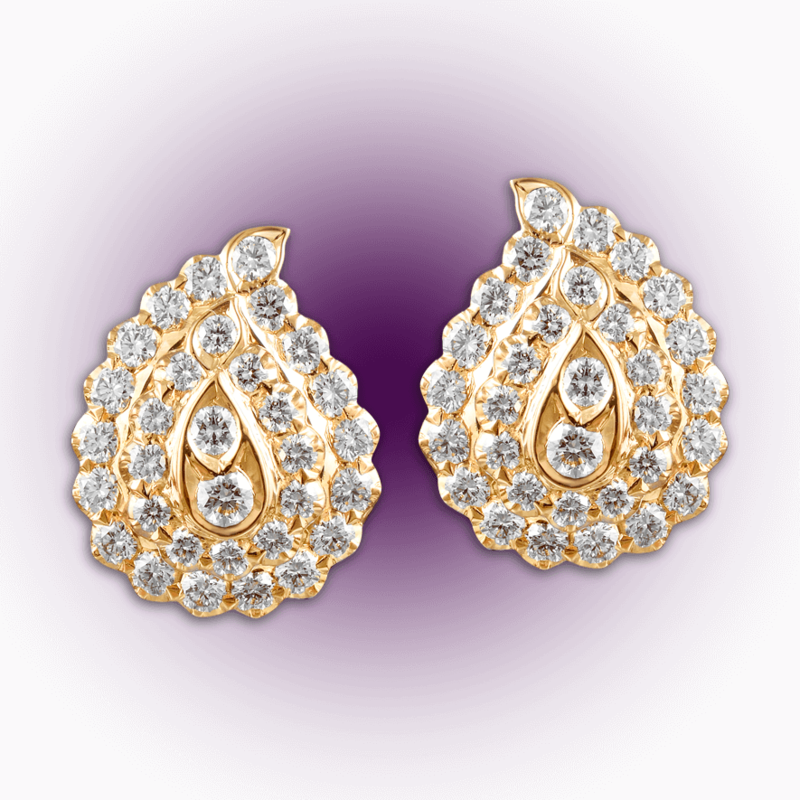 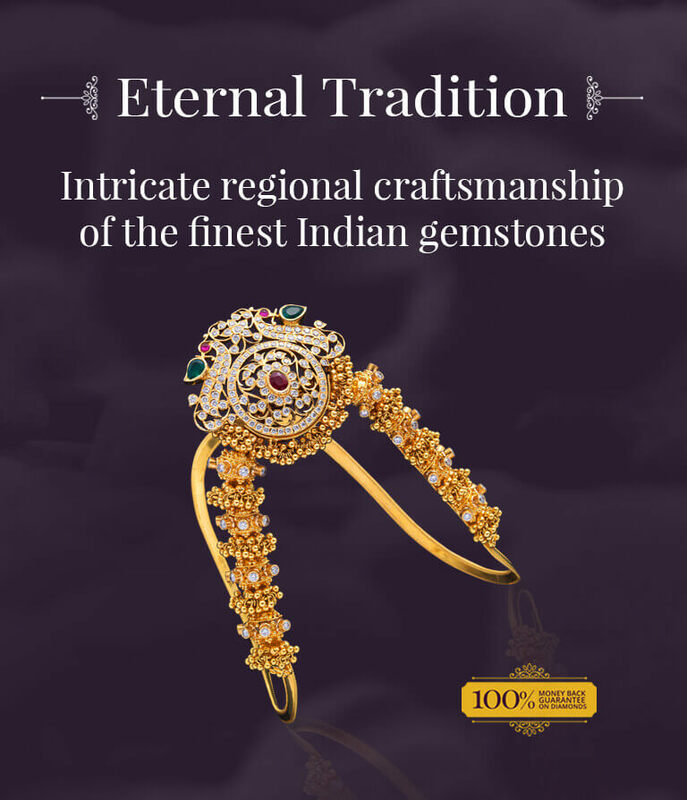 . .
Charming pair of traditional earstuds Crafted in 22k yellow gold closed setting Studded with brilliant round cut diamonds Perfect accessory for everyday wear . . .